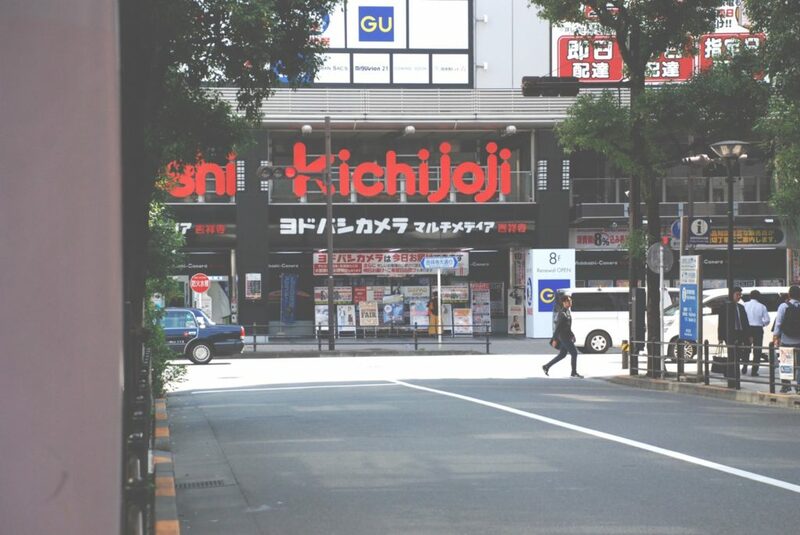 In Kichijoji, the moment your feet touch the ground you’re within walking distance of any kind of place that you can imagine. Located amid the western suburbs of Tokyo in Musashino City, Kichijoji plays host to an array of lovely coffee houses, live jazz, swan boats, theaters, a zoo, and shops that engage the imagination. With a warm and inviting atmosphere — in part thanks to one of the capital’s most cosmopolitan and friendliest communities — Kichijoji is a magical place to explore with friends, family or by yourself. Interestingly, the name Kichijoji derives from the Hindu goddess of wealth, fortune and posterity, “Lakshmi,” known as Kichijoten in her Japanese Buddhist form. The temple dedicated to this goddess, Kichijo-ji, was originally located in Bunkyo-ku before being lost in a fire in 1657. After the fire, new land was provided for those whose homes had been destroyed. In memory of their lost home, the relocated residents decided to name the new village after their beloved temple, Kichijoji. 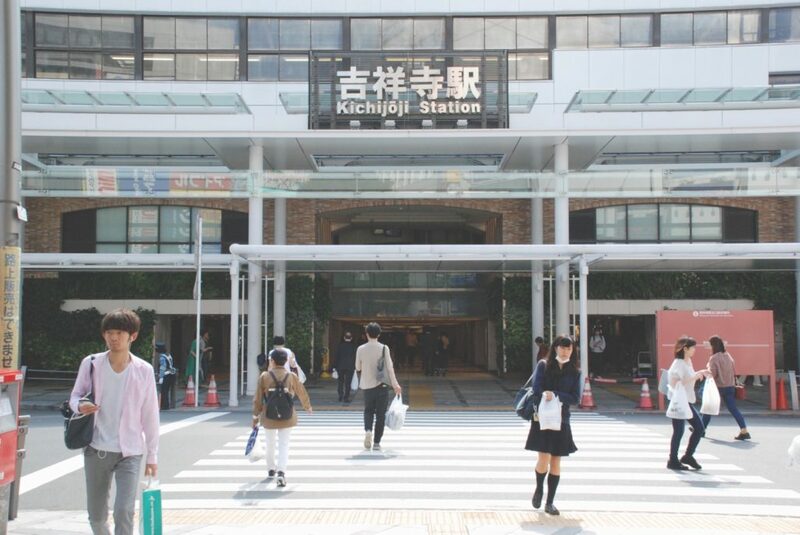 Nowadays, Kichijoji is a regular feature on various lists of the best areas to live in the Tokyo metropolitan area, notably winning the top spot on Japanese real estate giant Suumo’s annual survey in 2017. Though it was beaten by Yokohama this year, Kichijoji is still one of the city’s most sought-after neighborhoods for home seekers. In addition to the conservation and breeding of indigenous animals in the area, the zoo inside Inokashira Park was home to the first elephant ever to come to Japan after World War II. Named Hanako, she now has her own statue at Kichijoji station’s northern exit, unveiled two years ago to honor her memory. Within the park, you’ll also find a beautiful botanical garden, and an open-air sculpture museum with pieces by Seibo Kitamura, the man behind the famous Peace Statue in Nagasaki. 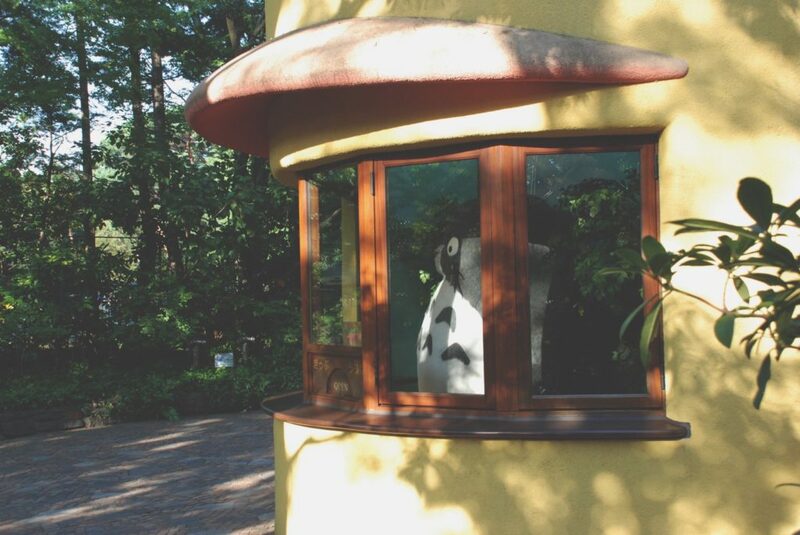 The western side of Inokashira Park is home to the Ghibli Museum, a pocket of magic and mystery for all those who know and love the works of Hayao Miyazaki. For tickets, you’ll need to purchase in advance at Lawsons —the museum’s website has instructions on how to do this. Photography is not allowed inside the museum, so much is left to the imagination until you set foot inside where exquisitely designed and whimsical exhibitions await. Cocomaru Theater, located along the Penny Lane Road just at the entrance of Sun Road, is a retro-looking cinema-cafe hybrid. Despite its newness (it opened late in 2017) Cocomaru offers a nostalgic atmosphere for film buffs. The first-floor theatre screens both independent and commercial films but focuses especially on supporting the former, holding special screenings with the director. The cafe is located on the second floor with a reasonably priced menu of diner-style ‘Merican foods like burgers and beer. 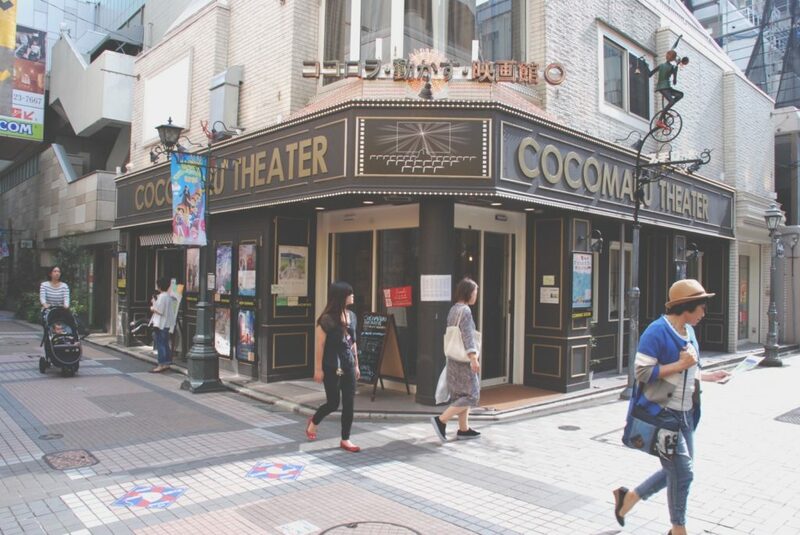 A short walk from Cocomaru Theatre is Sometime, an institution of Kichijoji’s renowned jazz scene. Every night, this dark and moody locale comes alive with the sound of music. At its center a beautiful grand piano sets the mood; the audience sits around the musicians in circular fashion or above them in loft-like seats. 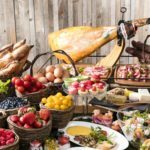 Sometime also holds daytime gigs on weekends and holidays, and serves coffee and western-style lunch throughout the day. Hyakunen is a little shop is home to books both new and old, magazines, DVDs, a small collection of records, and some homemade zines, which gives it a fantastically underground literary vibe. 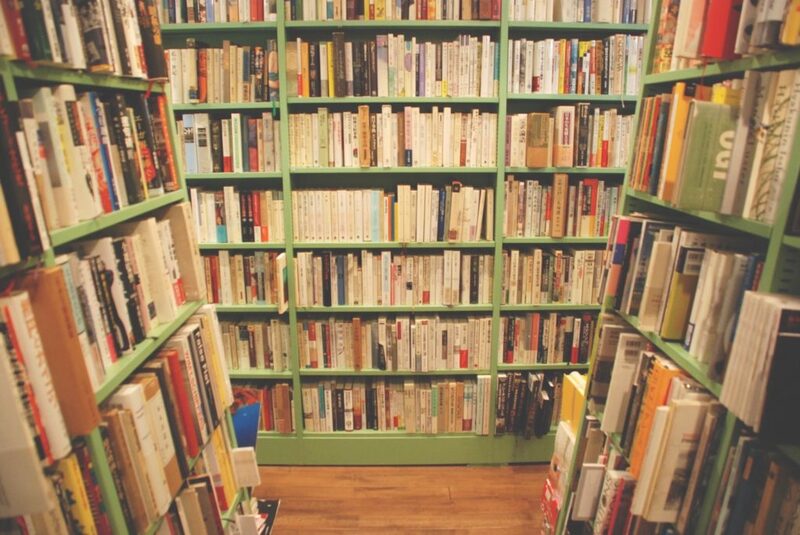 Hyakunen hosts exhibitions for readers, authors and artists who show their work on the walls of the store. Skit is home to what seems like hundreds of carefully wrapped vintage sneakers lining the shelves of a sleek, compact showroom. There are so many styles to browse; brands from Nike and Adidas to Onitsuka Tiger, as well as rare vintage finds, mean you’ll be hard pressed to prevent yourself from making an “investment.” Follow their Twitter feed to preview new arrivals. 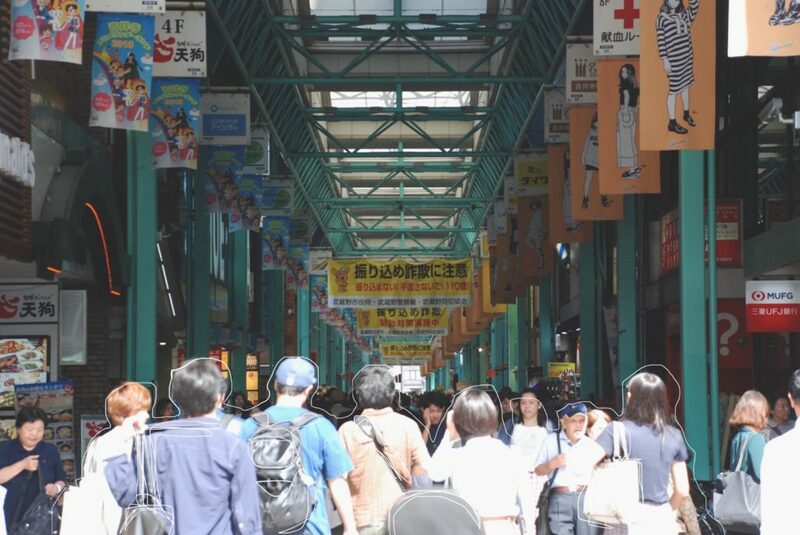 Take the North Exit from Kichijoji Station and you’ll no doubt be drawn across the street towards Sun Road, a covered shopping arcade with stores stocking everything from pets, boutique hats, groceries, cosmetics and almost anything else you might want. A central hub for Kichijoji, Sun Road is also jam packed with interesting options for places to eat — just look up to the arcade’s second floor for inspiration. Narrow Nakamichi-dori boasts a novel collection of small boutiques and cute spots to eat and drink. You’ll need to set aside an afternoon to explore the miscellaneous collections of quirky postcards, one-of-a-kind-Japanese homeware, vintage clothes, designer goods, and cozy coffee houses that are all equally perfect Instagram fodder. The sprawling department stores Atré and Tokyu are conveniently located around Kichijoji Station while Coppice, a department store located near Cocomaru Theatre, is a shoppers paradise designed with families in mind. Kids clothing brands, baby supplies stores, and foreign food shops make up the large complex. 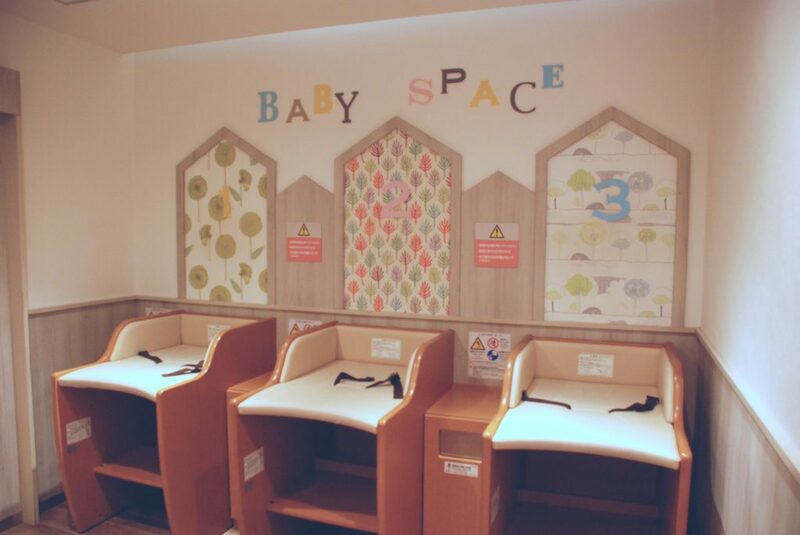 On the fifth floor of the A building there’s a play area for kids known as Kid’s Space and a baby changing room, too. 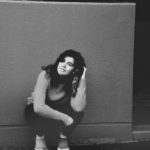 Named after jazz legend Thelonious Monk, but also giving off those Buddhist vibes, Monk’s Foods has tasty organic meals and vegetarian options that are good for the soul. Monks Foods has a bar on the first floor lined with CDs and group seating on the second. The whole operation is run by a sweet elderly couple with some very impressive musical knowledge. The interior of this cat cafe is cuter than most with a charming fairytale decor that makes you feel like you’re walking into a children’s book. Customers are able to play with the cats as much and for as long as they like, taking up residence together with them on one of the low tables. With three floors, it’s quite large, but you’ll typically find cats cozying up in the clever nooks and crannies spread throughout. When staff ring the bell for dinner time, the stampede of fluffy cats is absolutely adorable. 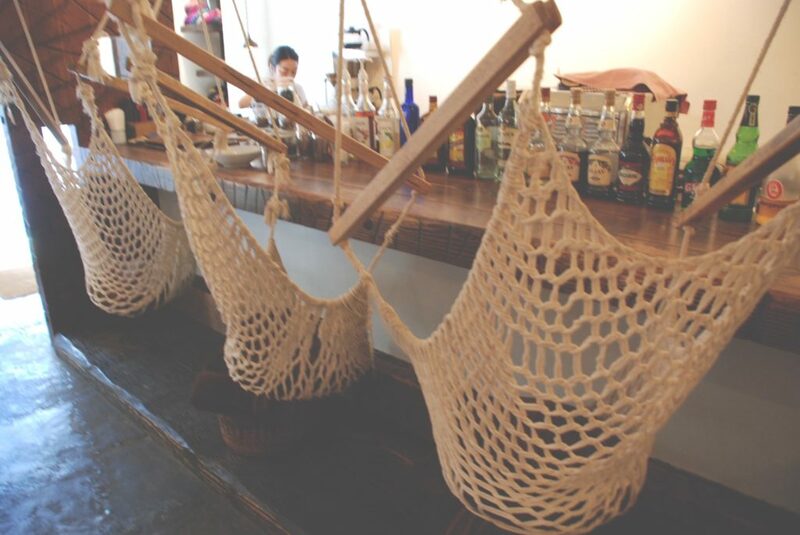 Slip off your shoes and climb into a hammock at Mahika Mano Hammock Cafe, a quirky concept that has taken Kichijoji by storm (the neighborhood has several similar spots). Honey milk tea and homemade gnocchi are favorite picks from a vegan-friendly menu, just make sure not to swing too violently in your seat while you’re enjoying it. It’s very popular on the weekends, so there might be a line. Understandably. Located beneath the trees of Inokashira Park, this Southeast Asian restaurant has eclectic decor and a similarly diverse menu to boot. Relax with a good Thai meal, a Vietnamese coffee, or a cold Sri Lankan beer on either the outdoor or indoor seats —a joy in spring or autumn. The changing menu of weird and wonderful flavors, like, um, tomato shaved ice, keeps the neighborhood on its toes and coming back for more. Kooriya Peace is open year round but only seats eight. Happily, they do takeaway, too. 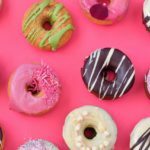 They don’t have a website, but you can follow the owner and his adorably fluffy dogs on Instagram. Once a pop-up cafe, Shaun the Sheep from the popular Wallace and Gromit claymation series now has a permanent home on the 4th floor of Kichijoji’s famous department store Parco. You can find him in various forms on the menu with his signature blank expression, even as a muffin! This restaurant’s rotating menu consists of select Japanese delicacies such as ayu (sweetfish) rice, steamed jade dumplings, tuna bonito salad, and a huge variety of domestic sake. Keeping in time with Kichijoji’s jazz scene beat, the music and atmosphere combined makes Waltz a favorite hideout among locals. Since 1972, Kichijoji has been celebrating the Akimatsuri, or “Fall Festival,” a celebration of the Musashino Hachimangu shrine, home to the spirit of Musashino. In the winter, things get romantic with “illumination” light ups at Kichijoji and neighboring station Musashisakai. During the colder months, the tourism office also offers a six temple and shrine expedition to visit the gods. If you want to pray for a year of good luck, this is the way to seal the deal. 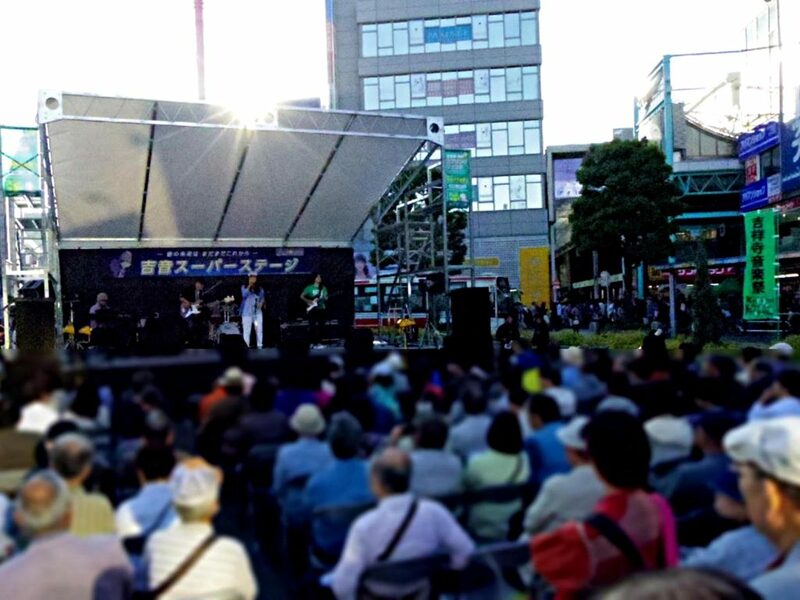 In spring, the Kichijoji Music Festival brings jazz concerts, parades, and live band performances to the neighborhood’s streets. Spring is also the time for cherry blossoms. 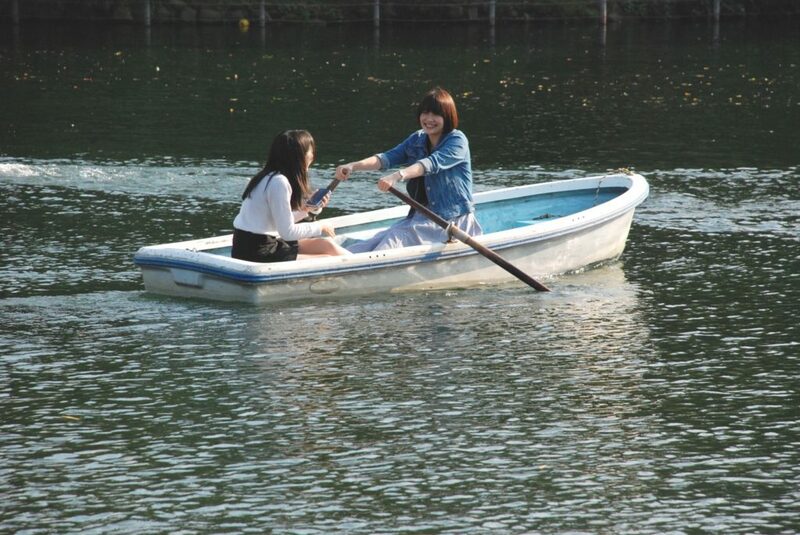 Inokashira Park is one of Tokyo’s most popular spots for hanami, with revellers queing for the chance to rent a swan boat and gaze at the flowers from the pond. Summer sees Kichijoji join the celebrations for Tanabata, where mikoshi floats make yet another appearance. In August, there’s a Bon Odori dance event complete with dancing, games, and festival food. 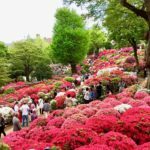 Easy to get to from Shinjuku and central Tokyo but also close to the nature of Mount Mitake and Okutama, Kichijoji is accessible from very different worlds in Tokyo. From Shinjuku, take the Chuo Line, which takes about 14 minutes on a rapid train. The JR Sobu Line also runs to Kichijoji Station, traveling to and from Shinjuku and Chiba. The Keio-Inokashira subway line coming from Shibuya takes about 23 minutes. From both Haneda and Narita airports, buses go directly to and from Kichijoji station’s east side. 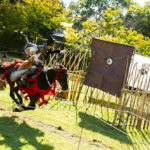 Stop by the Musashino Tourism Office, just five minutes from the North Exit of Kichijoji Station, for tips on making the most of your neighborhood tour. There is also a smaller information center inside the Atre Kichijoji shopping center. Alternatively, the official website makes planning your trip in Kichijoji a simple and fun process.